Tripp Lite's TLP606DMUSB surge suppressor provides 2100 joules of surge protection for workstations, desktop PCs, and other sensitive electronics. Featuring (6) 5-15R outlets, including 2 that can accommodate bulky transformers without blocking the other 4, this versatile, innovative surge suppressor incorporates technology that filters out disruptive line noise, preventing it from affecting your equipment. Two USB charging ports deliver 2.1 amps of power to charge the most demanding devices, including tablets, smartphones, and MP3 players. Built-in clamps on the unit's housing attach to the side of work benches, desks, and tables for better accessibility to connected plugs. 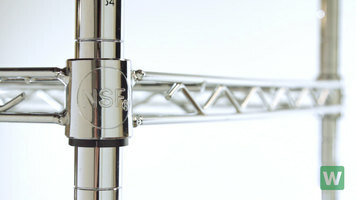 These clamps attach tightly enough to prevent the weight of connected cords from detaching the unit from the surface. The TLP606DMUSB also includes 2 diagnostic LEDs, 1 red and 1 green. that show power and protection status at a glance. Additionally, an illuminated power switch with integrated 15 amp circuit breaker provides one-touch power control and overload protection. If you need a versatile, reliable surge suppressor for a home or office application, order the TLP606DMUSB. Great for a variety of environments, the TLP606DMUSB from Tripp Lite delivers exceptional power while protecting your equipment. It even boasts USB charging ports, diagnostic LEDs, and other convenient features to help optimize productivity and space. 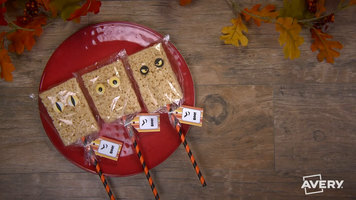 Make creative snacks for your child care facility with the help of Avery labels and stickers! Measure up to 70 lbs. / 32 kilograms with this dual unit utility scale! 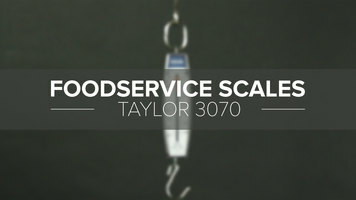 Thanks to its lightweight, yet durable design the Taylor 3070 hanging scale is easy to use, hang, and transport!